Ensure that you have created a business profile before creating a Sales. 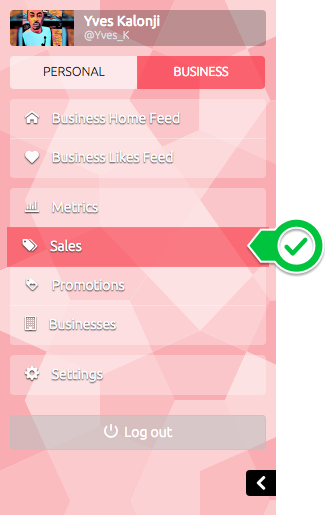 Switch to the Business mode and select Sales in the main menu. 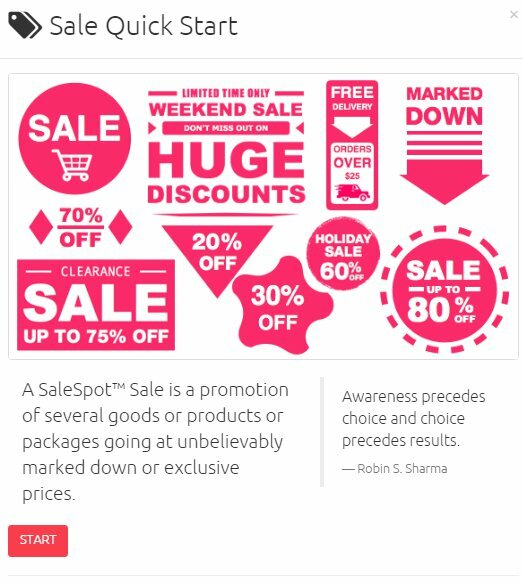 Select Create Sale to create your Sales. The Quick start wizard will pop up to help you create your Sale. Upload a picture relevant to your Sale and add some details about your sale. 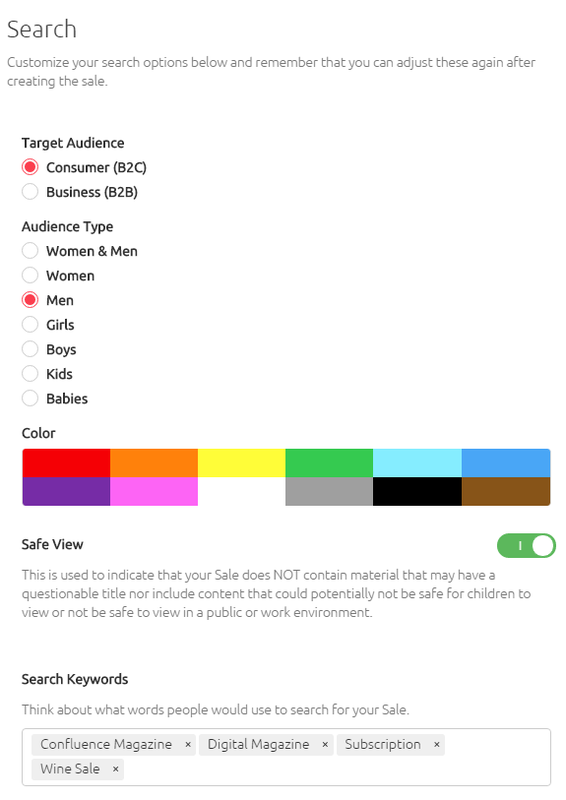 Customise who (audience) gets to see your Sale. Select the category you think your sale bets fit in. 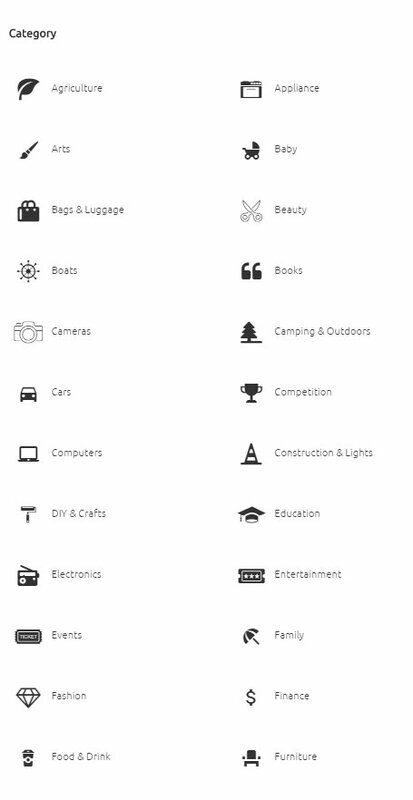 This also makes it easier for ShweetSpot users to find search for your Sale by category. Decide the duration of your sale. Select Save & Continue to move on to the next step of creating your sale. It is compulsory to add at least one item to your Sale. This is known as a Sale Item. This is typically the item you are selling, which you will add a price to. 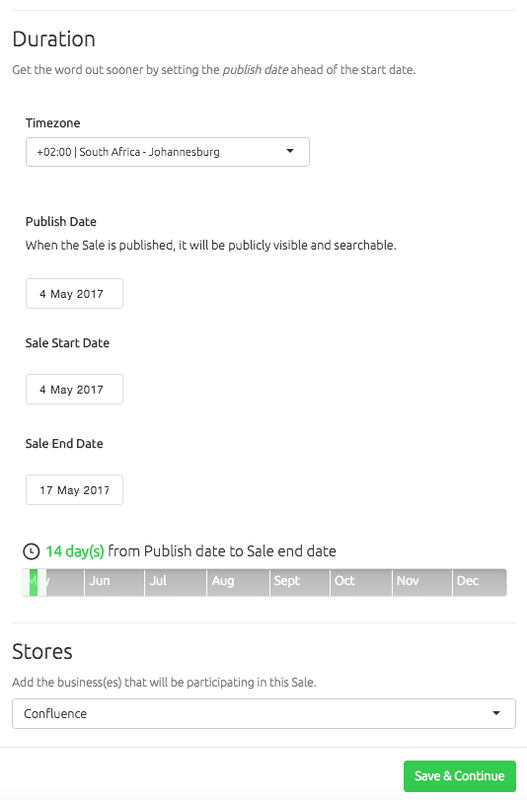 You will be unable to Pay and Publish your Sale if you have not added an item to your Sale. 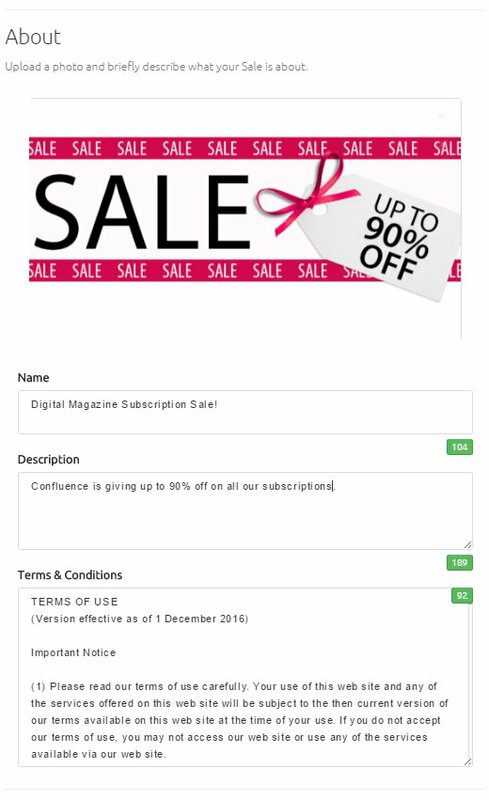 When you have selected the Add Sale Item button, a page dedicated to creating your Sale Item will appear. Select the first requirement (Name) for a side menu to appear for you to start filling in the required information about your Sale. Enter the Details of your Sale Item and Select the Set button to save. Your progress will appear on the requirements list. 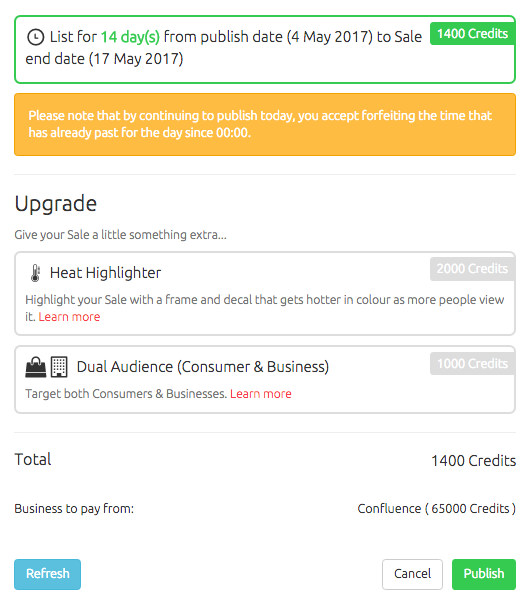 Customise who (audience) gets to see your Sale and select Set when you are ready to save. Select the Create button to finish creating your Sales Item. Select the Pay and Publish button to finally publish your Sale!